Discussion in 'Videocards - NVIDIA GeForce Drivers Section' started by MiR4i, Jan 5, 2019. As the title asks... Is it possible to base DSR values off of a custom resolution as opposed to the native resolution? I've once added in the tool ( post updated ), you can edit by pressing longer with the mouse, the native resolution. So, I'm obviously looking for some assistance in figuring this out, or if the function I'm hoping for is being completely lost in translation. Finally, I have also tried GeDoSaTo as an alternative, but the game in question is FFXIV and I can get neither DX9 or DX11 to launch when GDST is active, so DSR seems to be my only hope, since FFXIV, to quote MrBonk, is Aliasing: The Game. One way that might work would be to do an edid override so the only resolution said to be supported by your display is the one in question. The scaling though may end up being undesirable. (either due to the driver scaling to fit full screen or the display scaling it itself. ) You may not get 1:1 pixel mapping out of it. But it may base DSR off that resolution instead. Nvidia did change the format of the scaling data slightly however I don't understand the exact formatting and which values mean what beyond the default populated spots. Guzz was the one who helped me out once they made the change. Maybe he would know if it was possible. DSR has been a disappointment, like many things they make. Nvidia comes out and releases a great idea, and then support drops off a cliff. Leaving so much potential untapped. (Though AMD's VSR seems to have fizzled out the same)Then it's off to the next marketing buzzword to sell a new set of cards. Are you trying to use a slightly narrower aspect ratio in order to expand the play field a little bit to fit more UI elements in or? I do have an HDMI splitter that allows for custom EDID information, but after messing around with it over the past few hours I believe I've broken it, since it no longer wants to properly work with a resolution other than 1920x1080. >_> I'll have to see if I can figure out what happened to it, and then decide if I want to continue to venture down this path (although I probably don't). 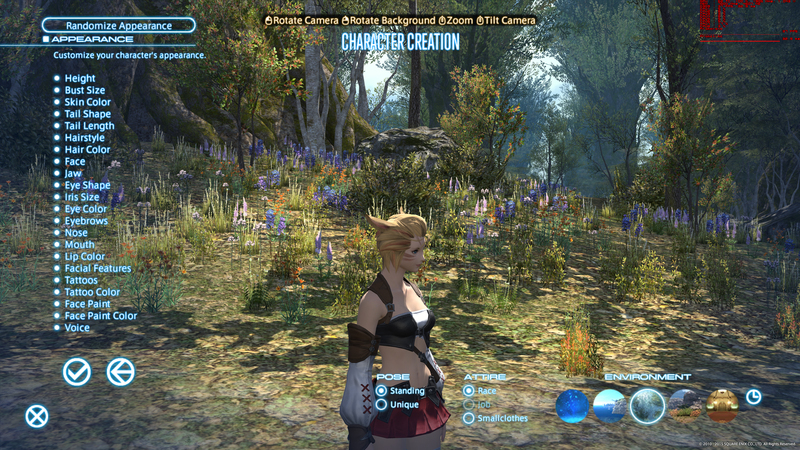 It'd be nice if FFXIV supported OGSSAA through the driver because 4x SGSSAA at 4K is just so expensive (not to mention the blur), but I can't seem to get any flags to work without one (or more) of the "layers" of the game rendering at the wrong resolution causing all sorts of issues—this is why I was hoping to fall back to DSR. On a side note, I will say that it's incredibly frustrating that SE hasn't bothered to include any other forms of AA other than FXAA. 1) I currently have a large 42" display, and, for some games, I find that it tends to be more efficient to chop off the top and bottom so that I can better focus on everything on screen. 2) 3840x2160 plus DSR is quite heavy on my 1080 Ti SLI, not to mention I want to add in ReShade, as well. 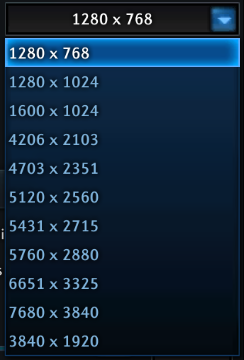 So, any pixels that I can cut off to save on GPU resources would be ideal. Maybe I should just go back to using a display that is already ultrawide, and then I can take advantage of DSR. The correct flag for 4xSGSSAA should be 0x084012C5 , which skips the hud when applying AA. It only works with 4x well. Not 2x or 8x. I don't know about the current version of the game, but it's still working fine here with the Heavensward bench with everything set to max except SSAO turned off. But perhaps SLI causes issues with forcing AA with this game. You can try for 2xSGSSAA by changing the 5 to a 1. Which actually resolves rather poorly, adding actual blur to the image. But you could try sharpening it and to counteract some of it. And it may save enough performance to be playable. I really wish more developers would take anti-aliasing more serious because, in my opinion, aliasing really ruins the immersion in games when they're meant to look as good as they do today, and I think plenty of us on this sub-forum feel the same way. "You can't implement good AA into a deferred rendering engine!" when defending newer games that don't include good AA options, after Blizzard implemented both SSAA (through a render scale slider) and MSAA into their deferred rendering engine, all while going the extra mile to add in the option to add MSAA to transparency, which I thought was nothing short of amazing. "Just upgrade to 4K!" in reference to eliminating aliasing, when, in reality, it's all about pixel density, and not simple X/Y resolution values. I think my issue right now, at least in FFXIV, is that SGSSAA requires DX9, and if you want good SSAO in DX9 then you have to force it on through Inspector, and so I'm piling on SGSSAA, driver-level HBAO, and ReShade, and it's quite heavy on the system. I was hoping to stick with DX11 so I'd have an efficient HBAO solution that was already available in game, and then add ReShade on top of that, which is maybe 10% additional load. It seems I can do all of that on just a single GPU, but then I would want DSR, which is where SLI comes in. However, I will also give give 2x SGSSAA a try with the above flag. Well, now I feel dumb for seemingly breaking my hardware splitter when all I needed was CRU (although it's still under warranty). I simply added in 3840x1920, moved it to the top of the list in hopes it'd be recognized as "native," restarted the driver, and it worked—DSR now pulls from that resolution instead of the actual native resolution. I'm looking forward to trying this out in FFXIV when their 24-hour maintenance is over tomorrow morning. I believe what's happening is that the game is first vertically stretching the 1920 to 2160, then applying DSR, and then letterboxing it properly, and so it looks terrible. 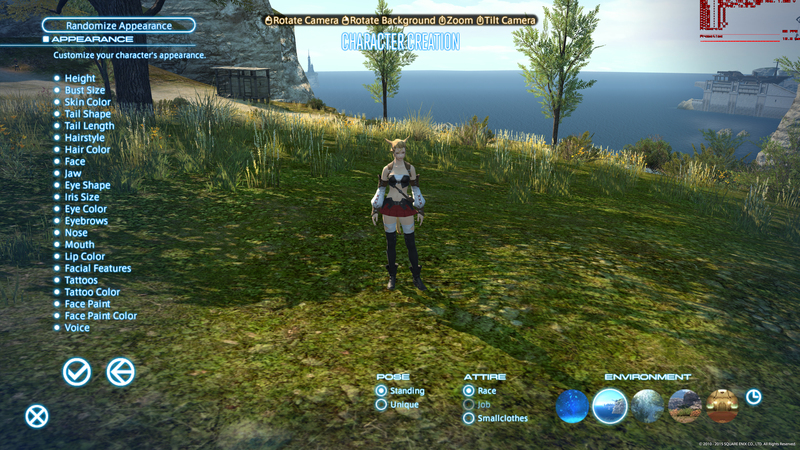 With that said, I've attempted to mess with the scaling options in the driver, but nothing I adjust seems to affect anything in FFXIV, even if I choose to "override the scaling mode by games and programs." To be fair, I didn't make a checklist for every single combination I could've tried, I more or less just randomly picked and chose maybe seven different combinations of the several options available. So, while I have a few more options to try out, it doesn't look promising, simply because the DSR values are letterboxing properly, but the "native" resolution of 3840x1920 is not. This could also be a failing of my own when setting the EDID information in CRU, since I just change the vertical pixels from 2160 to 1920, and CRU seems to make it's own adjustment in the "Total Vertical Lines" field. Other than that, nothing is changed, nor do I know what I'd change. So, this is where I'm at with this. https://www.deadendthrills.com/foru...ct-ratios-and-resolutions-via-dsr-nvidia-only was posted on the AA thread. See if this works. Sorry for getting back to this late, but I saw the reply, wasn't ready to test it out, and then forgot about it. Unfortunately, the now-deleted discussion page (although still available through Google cache) uses the old data structure, which is the same issue I outline in my original post where the SmoothScalingData registry data has been changed since all those custom DSR tools were first made, and none of them have been updated to work with the new structure (if they can even be updated).